NBA Finals odds predict a rematch between the Golden State Warriors and Cleveland Cavaliers for the third consecutive year. 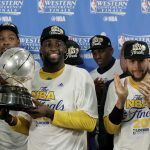 If the two teams reach the championship best-of-seven series, it will be a deciding rubber match, as the Warriors won in 2015, and the Cavs took the title in 2016. But before NBA’s front office gets its dream matchup for the third year in a row, a slew of teams hope to block the Steph vs. LeBron rematch. 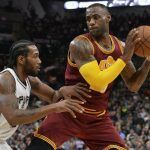 With the regular season now in the books, oddsmakers are preparing their sportsbooks to take bets on the NBA Playoffs. 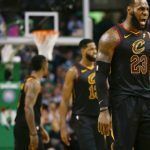 The Westgate SuperBook has Golden State the favorite to win the championship at 1-2, followed by Cleveland (7-2), San Antonio Spurs (9-1), and Boston Celtics (20-1). Online sportsbook Bovada is offering the Warriors at -160, Cavs at +333, Spurs (+600), and Celtics (+1600). 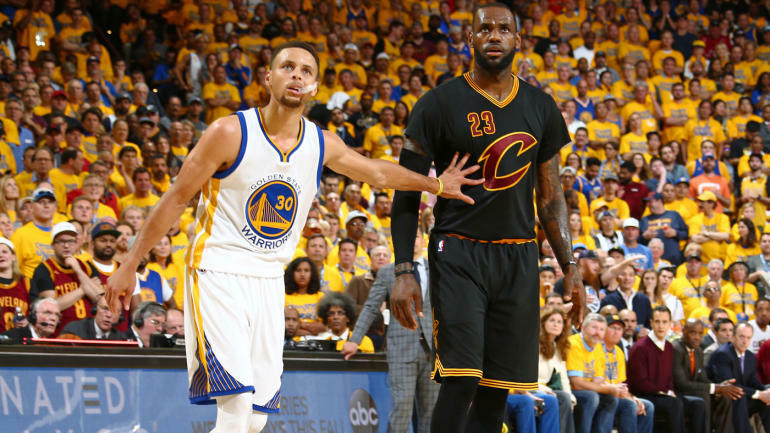 Bovada has Golden State and Cleveland as heavy favorites to reach the NBA Finals. Odds post the Warriors at -250 to win the Western Conference, and the Cavaliers at -275 to take the East. The NBA Playoffs are vastly different than the NCAA’s March Madness. Whereas anything can happen in college’s single-elimination tournament, NBA’s best-of-seven format throughout more accurately finds the best team. It also drags out the playoffs for roughly two months. While major upsets in the first two rounds of the NBA Playoffs tend to be rare, there are plenty of questions that need to be answered for both the Warriors and Cavs. Out west, Golden State fans anxiously welcomed back Kevin Durant this week after the superstar “small” forward missed about a month and a half due to a knee injury. He appeared as if his game hadn’t missed a step, scoring 29 points with eight rebounds and five assists. But this weekend, the Warriors’ nearly all-star caliber starting five will play in the playoffs for the first time together. They’ll have plenty of time to learn how they play together in the postseason, as the Warriors aren’t expected to be challenged until the Western Conference Finals. Golden State plays Portland in the first round, and then meets the winner of the Los Angeles Clippers and Utah Jazz series. Last year was a momentous run for Cleveland. LeBron James and the Cavs brought the city its first major sports title in 52 years, but the 2016-2017 season has been a disappointment. The Cavs finished second in the East behind Boston, and James’ squad seems to be playing its worst ball in months. They’ll need to get past Indiana and the winner of the Toronto and Milwaukee series if they hope to meet the Celtics in the conference finals. While questions are running abound regarding the Cavs’ defense, there’s little doubt LeBron will be LeBron starting this Saturday. Las Vegas expects him to will the Cavs back to the NBA Finals, where the Warriors will likely look to get revenge.